Clinical research is a branch of medical science that determines the safety and effectiveness of medications, devices, diagnostic products and treatment regimens intended for human use. These may be used for prevention, treatment, diagnosis or for relieving symptoms of a disease. 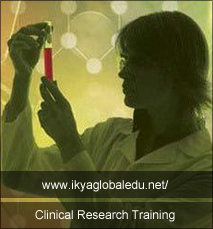 Clinical Research is different than clinical practice. In clinical practice, one used established treatments while in clinical research evidence is collected to establish a treatment.